This Tustin City Council didn’t leave me much to work with this April Fool’s Day. In fact, the Closed Session is likely to take longer than the Regular Session this week. The Closed Session also had a last minute add-on to discuss the performance evaluation of City Manager Jeff Parker. For what it’s worth, we think he has done a pretty good job other than his almost constant dipping into reserves to pay for items that should have shown up on the budget. Don’t expect discussion in the Regular Session as it has not been agendized. The rest of the Close Session consists of the usual suspects. Two each items of Initiation and Exposure to Litigation. These have been there awhile along with the case between the Tustin Successor Agency and the State Department of Finance. Three new liability claims for the group to vote no on. Katharine Saetang, Rogelio Preciado and Camille Kramer can get their attorney on as the city council rarely accepts a damage claim. Should there be a breakthrough, we’ll let you know. Likewise, discussions with the Tustin Unified School District continue. When we last spoke to officials over at TUSD, they had been trying to determine a way to open Heritage School as had been promised. The current use is for a continuation school and administrative offices (last we heard). There have been rumors the school would co-open for regular school even though they might not have the required number of students. This is on the heels of the recent approval for 327 homes on the base property although we’re not sure how that will affect it. The closed session item may discuss this but there is also the prospect of opening another school or two on the base property which is more likely in line with this week’s topic. Two items on the Consent Calendar stand out. Item 3, would approve the plans and specs for the Williams Street Storm Drain Project and send it out to bid. The project is CEQA exempt, according to the staff report as it replaces current drains. Depending on how you read this, they have budgeted from $550,000 to $750,000 (someone tell Doug Stack about transparent government). Item 4 is a request to appropriate undesignated reserve funds to improve land owned by the city and leased to Tustin Auto Center merchants for storage of excess vehicles. Our concern, of course, is the appropriation of reserve funds for something that, perhaps the merchants themselves should be paying for. The request or subsequent approval should come as no surprise as the city justifies any raid of reserve funds by using the Janet Nguyen “free money” concept. Item 6 of Reglar Business is a first reading of an ordinance relating to recycling of construction debris. The ordinance will eliminate specifics that have had to be revised yearly since the inception of CAL GREEN by the state and, instead, will invoke language referencing state law. Security Deposit amounts, apparently, will be determined later. A late entrant to the Regular Business session is Item 7, an update on the county ambulance RFP. 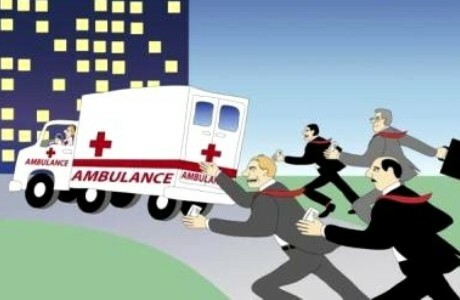 Earlier this year, the state ripped the OCFA on their ambulance selection process. Most of it appears to be paperwork related but there has been a question of some contract cities not selecting the top-ranked ambulance services which would void liability claims to the state. Part of the issue concerns a fee for Advance Life Support when county paramedics are called to a transport scene. County Supervisor Shawn Nelson called the fee an insult and Supervisor John Moorlach likened it to double taxation saying, “Why am I being charged twice, when I’m paying for the whole infrastructure?” Todd Spitzer, Supervisor for Tustin, didn’t have much to say about the fee itself but did think Supervisors should sit on the panel that will review the ambulance companies (like they don’t have enough work). In any case, it does not appear to be a call by the city itself as to which company will service Tustin. Perhaps Al Murray will be able to shed a little light on the issue. That’s it for the week. As usual, we will report on anything interesting that may happen at the meeting. Posted on March 31, 2014, in In the News, Local Government, politics, Tustin City Council and tagged City Council Agenda, City Manager Jeff Parker, community development block grant, community development department, conspiracy theories, reserve funds, Tustin Unified School District. Bookmark the permalink. 1 Comment.